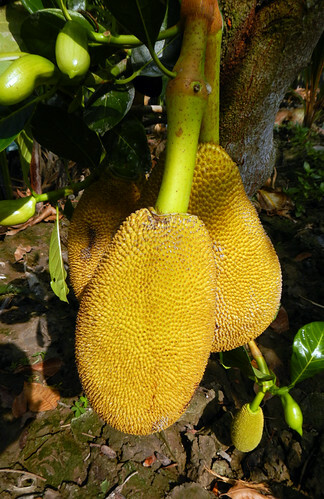 On our tour of the Mekong Delta we spent some time going through an orchard full of amazing fruits. 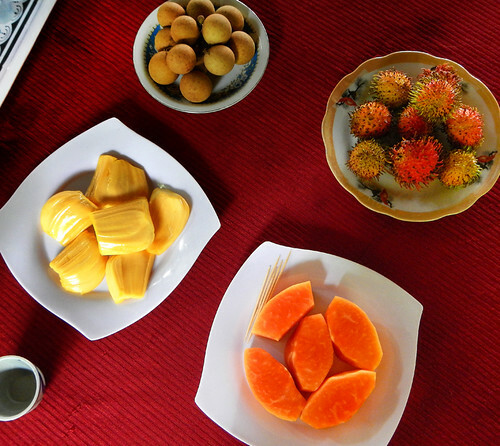 At the end of our wander they brought out jackfruit, longan, rambutan and papaya for us to taste. 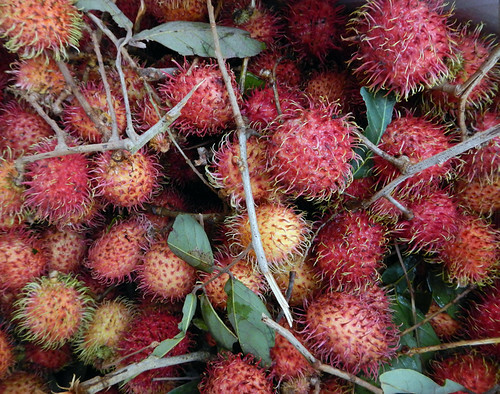 Rambutan: Although it looks really strange on the outside, on the inside is a white fleshy sweet-sour fruit, similar to lychee or grapes. 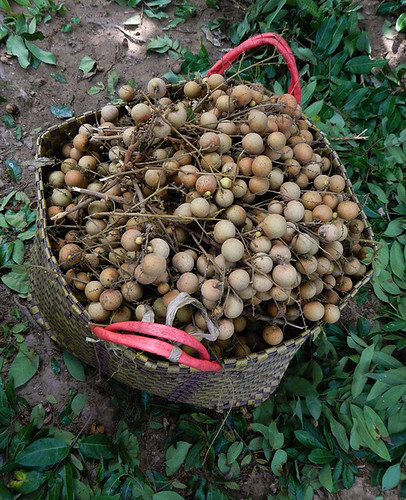 Longan: another sweet and juicy fruit, similar in taste to lychee. 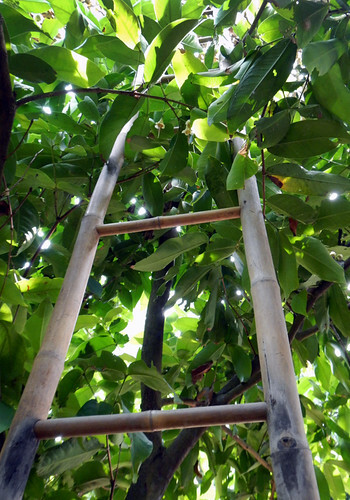 Bamboo ladder for picking fruit in a Mekong River Delta orchard. In Malaysia, we also fry the jackfruit in a batter – absolutely yummy! 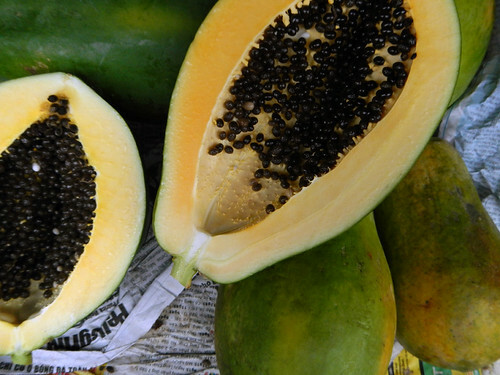 The only one I’ve tried of these is papaya. 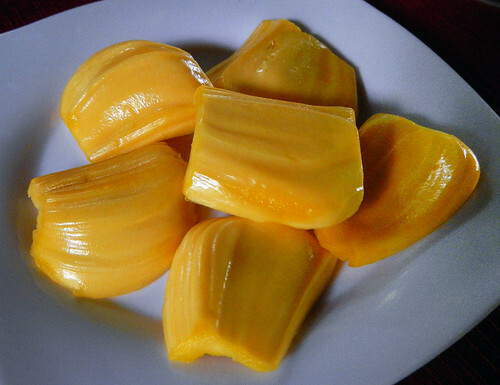 The jackfruit looks really interesting. I love lychees.